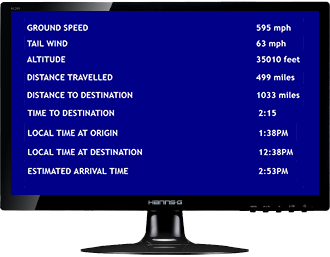 Login into your account and start enjoying an emulated on-board entertainment system showing a real time moving map and relevant details of your simulated flight. 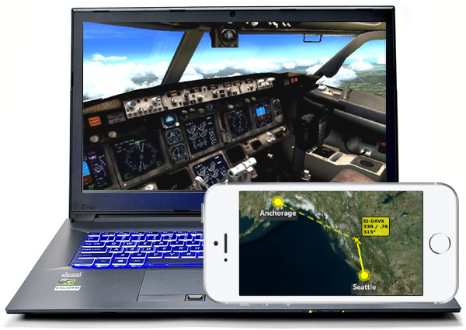 FS Earth Plus is your moving map for Flight Simulator! This is the e-mail address you used to purchase the subscription plan. The Pin changes at each session, you can find it in FS Earth Plus main app (on the computer where you are flying) once you login into your account. FS Earth Plus will show a moving map based on Microsoft Bing, from any Internet browser of any device (smartphone, tablet, laptop computer, desktop computer, secondary monitor on main computer) running IOS, Microsoft Windows, Android or any other operative system. 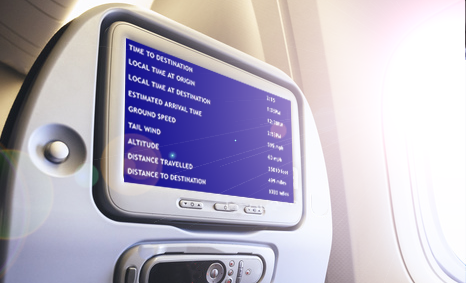 FS Earth Plus can be used to simulate a real on-board entertainment system showing on the passenger's seat not only a real time map, but also relevant flight deatils like estimated arrival time, altitude or speed. Multiple devices can be used at the same time to show different screens and information. FS Earth Plus works with Microsoft Flight Simulator 2004, FSX, FSX Steam, Prepar3D (any release) and any other client simulator compatible with FSUIPC (which must be purchased separately). FS Earth Plus is compatible also with X-Plane, through XPUIPC module (which emulates FSUIPC). 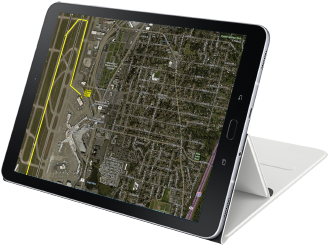 To enjoy FS Earth Plus and get a real time moving map for flight simulator on any device (smart phone, tablet computer, laptop or secondary monitor) you need to install FS Earth Plus client application on the computer where your flight simulator software runs. You will then need to buy a one year subscription plan. The order number and your email address will be used to login into FS Earth Plus web site and to enjoy all the functionalities of the software for 12 months. The subscription plan will NOT auto renew (you will need to submit a new order to continue using FS Earth Plus). 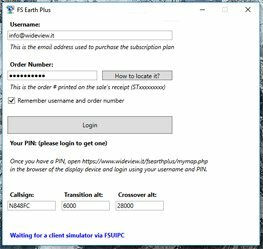 FS Earth Plus requires a client simulator that works with FSUIPC (Microsoft FSX, Steam FSX, Prepar3D, Flight Simulator 2004). FSUIPC is not supplied and must be purchsed separately. Through XPUIPC, FS Earth Plus is also compatible with X-Plane. To use FS Earth Plus you need to download and install the client application on the computer where you actually fly. The client application connects to the flight simulator software through FSUIPC or XPUIPC, not supplied or sold here. To install the client app just unzip it and then run setup. Buy a one year subscription plan and have your order number ready, as it will be necessary to login into FS Earth client app. After one year, the subscription will expire and you will need to obtain a new one (the subscription will NOT be renewed automatically). Run FS Earth Plus client app previously downloaded and installed on the computer where you fly. Enter in the app both the e-mail address you used to purchase the subscription AND the Order Number (as printed on the purchase confirmation and usually beginning by ST). The app will display a PIN which will be needed later to open FS Earth Plus in a browser. Run the client flight simulator software (FSX, Prepar3D, etc.) making sure that FSUIPC is registered and active. 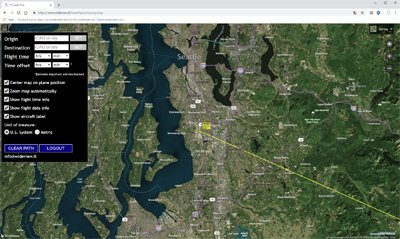 Open https://www.wideview.it/fsearthplus from a browser on any device, which can be a smartphone, tablet, laptop computer, or even on the same computer where you fly (perhaps on a secondary monitor). Login into your account entering the e-mail address used to purchase AND the PIN previously returned by FS Earth client app. Enjoy FS Earth Plus! 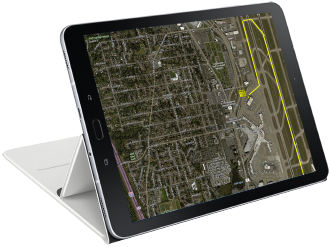 Tap on the menu to set departure / destination airport, flight duration accordingly to schedule, the units of measure and all the other relevant details needed to show proper track on the map and correct flight information.